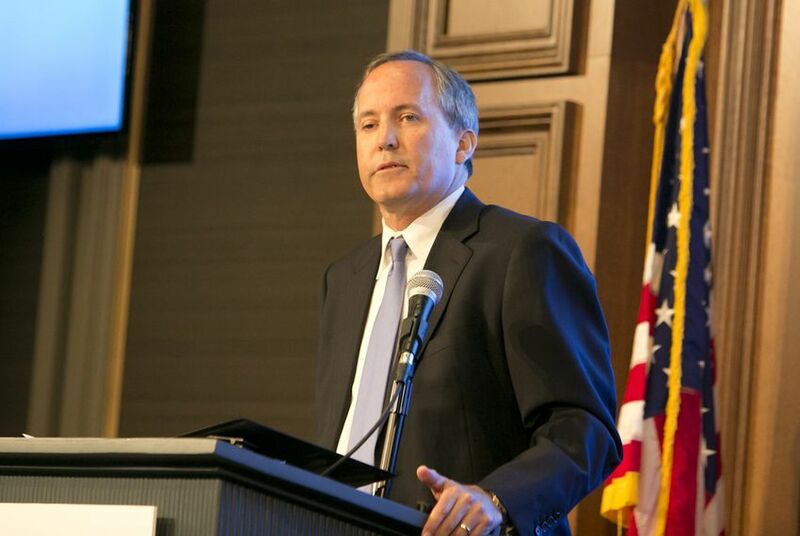 Renewing his vow to sue if the answer is no, Texas Attorney General Ken Paxton on Thursday officially asked the Environmental Protection Agency to halt a sweeping plan designed to combat climate change while existing legal challenges from other states play out. Editor's note: This story has been updated with a statement from the Environmental Protection Agency. Earlier this month, President Barack Obama revealed the ultimate version of his Clean Power Plan, an unprecedented regulation designed to combat global warming by drastically reducing carbon emissions from the nation's power plants. The new protocols, which require states to submit preliminary compliance plans next year, target the more than 600 operating coal-fired power plants — the largest source of greenhouse gas emissions. Twenty of those are in Texas. Several coal-dependent states already have sued over the plan. If the EPA denies Texas’ request for a stay, Paxton's office said Thursday he, too, would “file suit in the U.S. Court of Appeals for the D.C. Circuit." Paxton previously has promised to sue over the regulations. His office already has spent $24,000 devising a legal challenge it has yet to file, according to information obtained by the Tribune under a public records request. But some utilities have said they hope the Lone Star State eventually will devise a compliance plan to meet the new requirements to avoid being slapped with a mystery plan devised by the EPA and to bolster regulatory certainty. In a statement, the EPA said it would "vigorously defend" the plan in court. "The Clean Power Plan is based on a sound legal and technical foundation, and it was shaped by extensive input from states, industry, energy regulators, health and environmental groups, and individual members of the public," the statement said. "As a result, the Clean Power Plan is fair, flexible, affordable and designed to reflect the fast-growing trend toward cleaner American energy."